My mom found this sign on the ground. It was a two-sided sign. 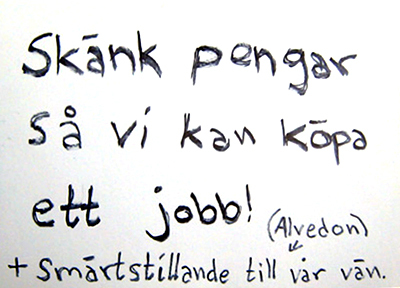 Who knows what it says in Swedish, but the message in English is very clear. The note says “Give money so we can buy a job! 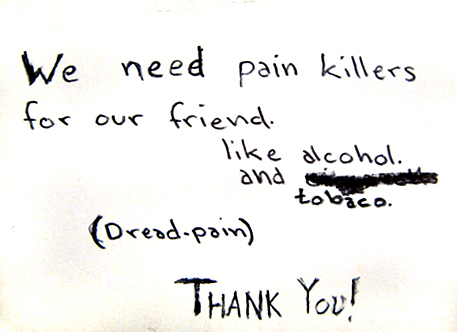 + Painkillers for our friend”. No explanation to how the writer intends to buy Jobs though.